Thanksgiving wasn’t a big deal in my household when I was growing up. In fact, once we moved to Singapore when I was 7, we didn’t even celebrate it, which means I only ever got my pumpkin pie fix when one of my friend’s mom’s was kind enough to invite me over to their place to celebrate the big day. Of course, we’re Canadian, so Thanksgiving wasn’t as big a deal to us when we were growing up (and Canadian Thanksgiving is actually in October for whatever reason…), but that doesn’t excuse the fact that I went without my favorite Thanksgiving foods each year, right? So I made a promise to myself many moons ago that once my daughter was old enough to understand the concept of Thanksgiving, I would make sure I went out of my way not only to create lasting memories for her with great Thanksgiving crafts and activities, but that I would also prepare the most amazing feast she will ever lay her eyes on each year. Of course, I don’t know the first thing about cooking a huge spread, and while I highly recommend The Pioneer Woman Cooks: A Year of Holidays: 140 Step-by-Step Recipes for Simple, Scrumptious Celebrations, which was gifted to my by a dear friend a couple of years ago, Pinterest has provided me with ENDLESS Thanksgiving recipes I can’t wait to try. 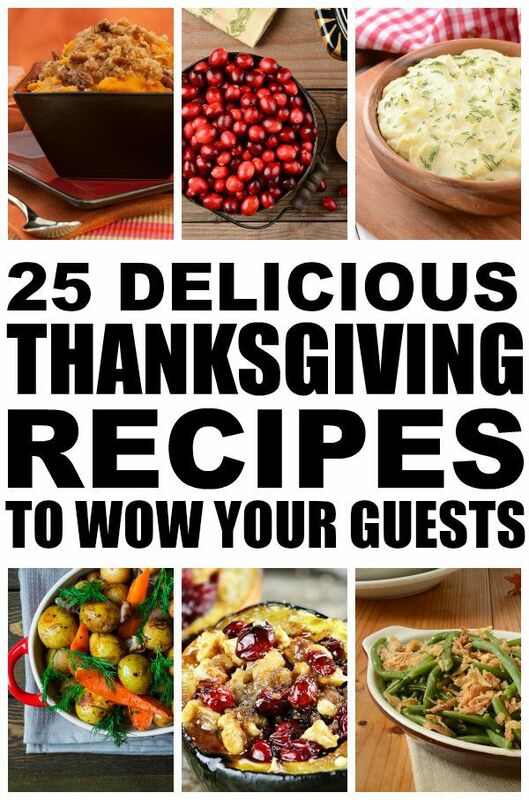 If you enjoyed these Thanksgiving recipes, please share them on Pinterest! And if you’re looking for more delicious recipes, please follow our Food board on Pinterest where we share an assortment of fabulous recipes you’ll love!